These fantastic antique occasional tables are beautifully decorated in rich lacquer and will add refined, Victorian elegance to a traditional interior. 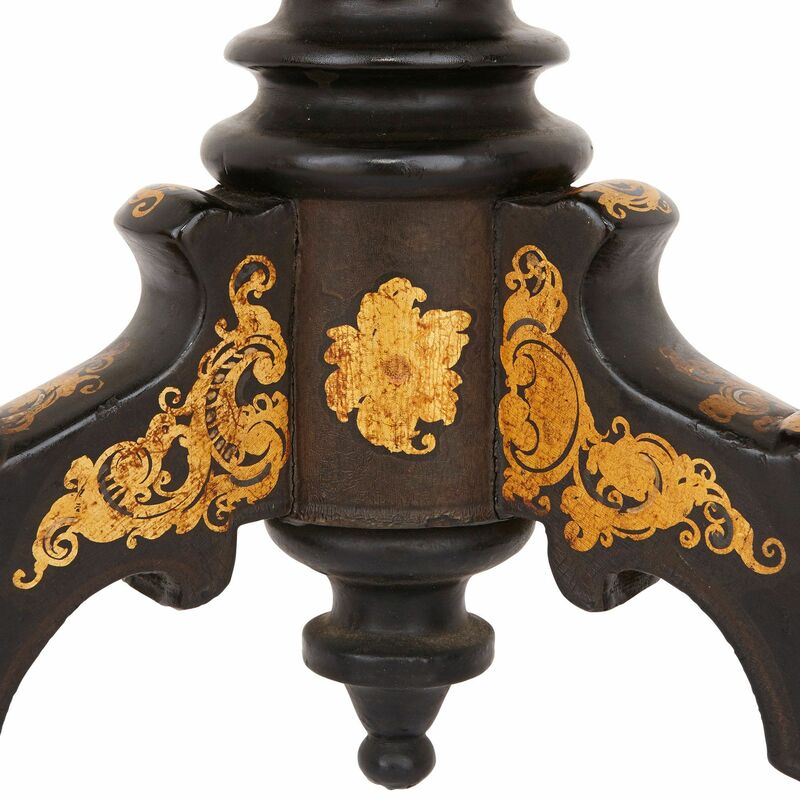 Each table is built from rich, dark wood which has been delicately finished and decorated with lacquer, a solution used for applying durable finishes to wooden furniture. 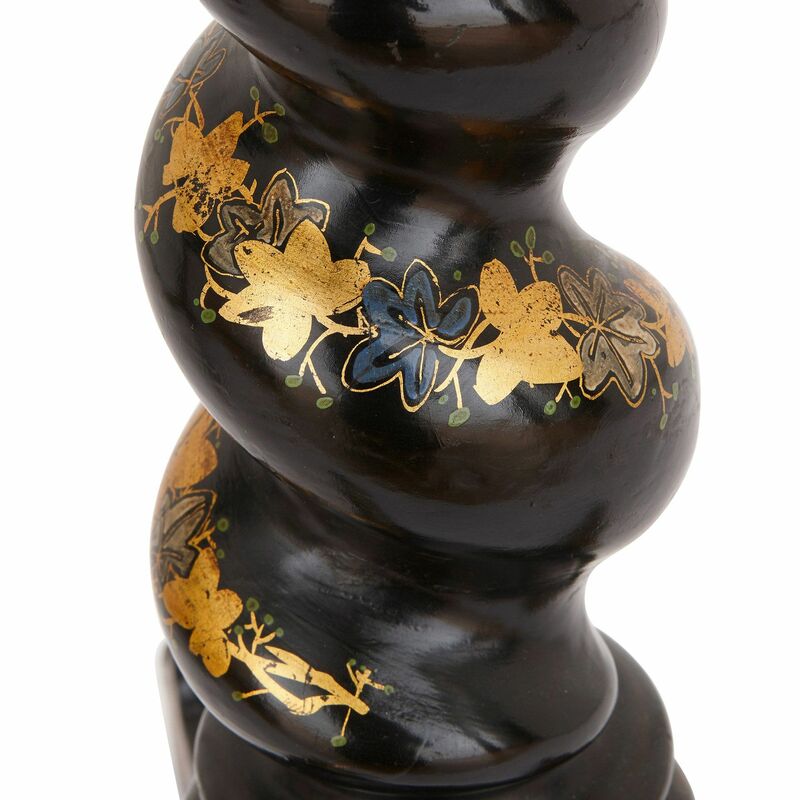 In English furniture-making, this method of decoration is known as 'japanning', since it originated as an attempt to imitate Japanese lacquer work, and was extremely popular in Britain in the 18th and 19th Centuries. 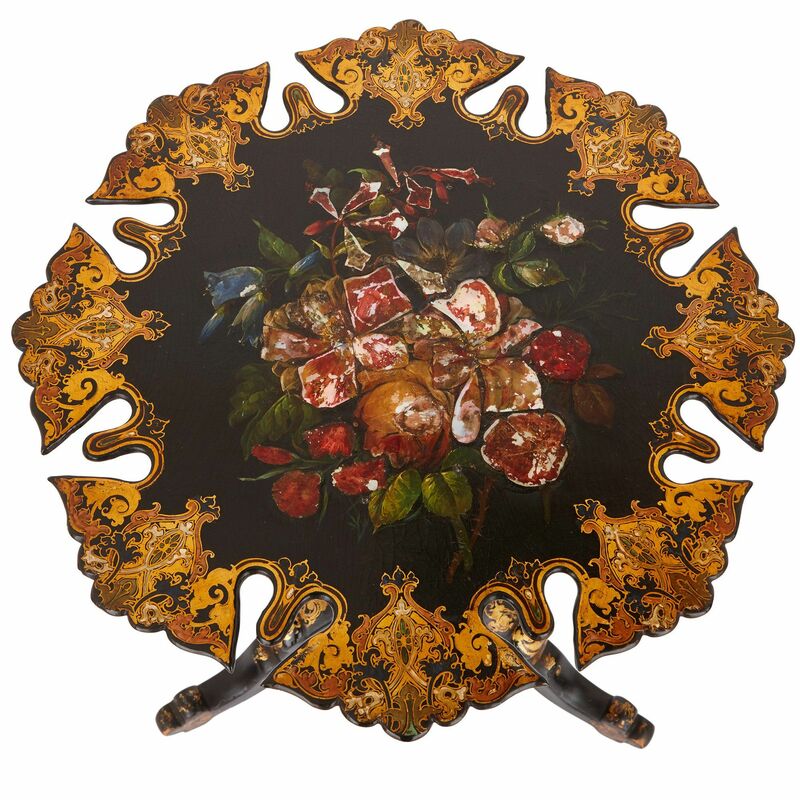 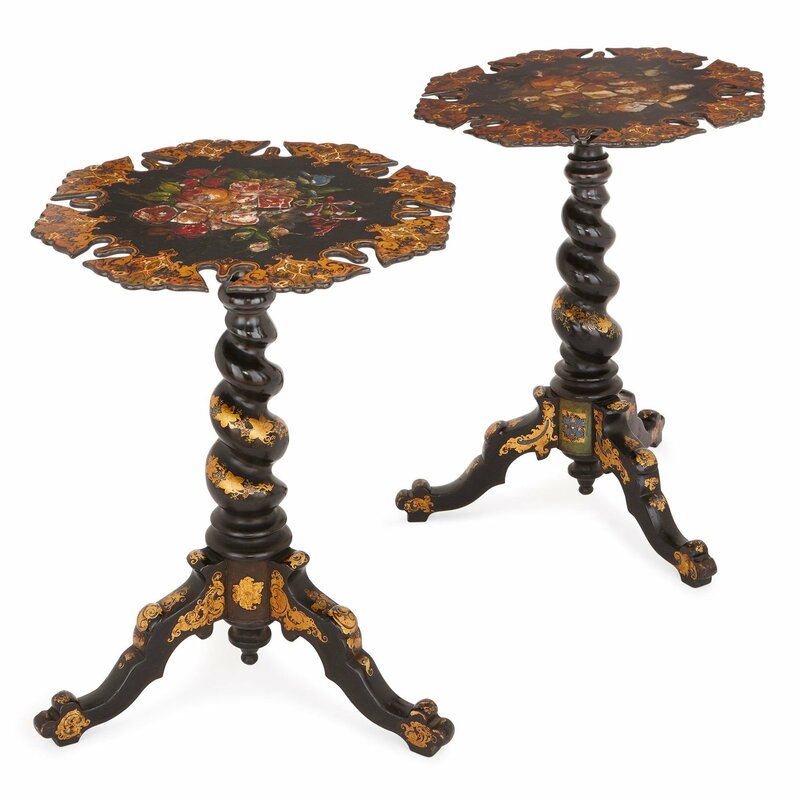 The tables have shaped octagonal tops with a central lacquered depiction of a bouquet of flowers, with gilt floral decorations around the edges. 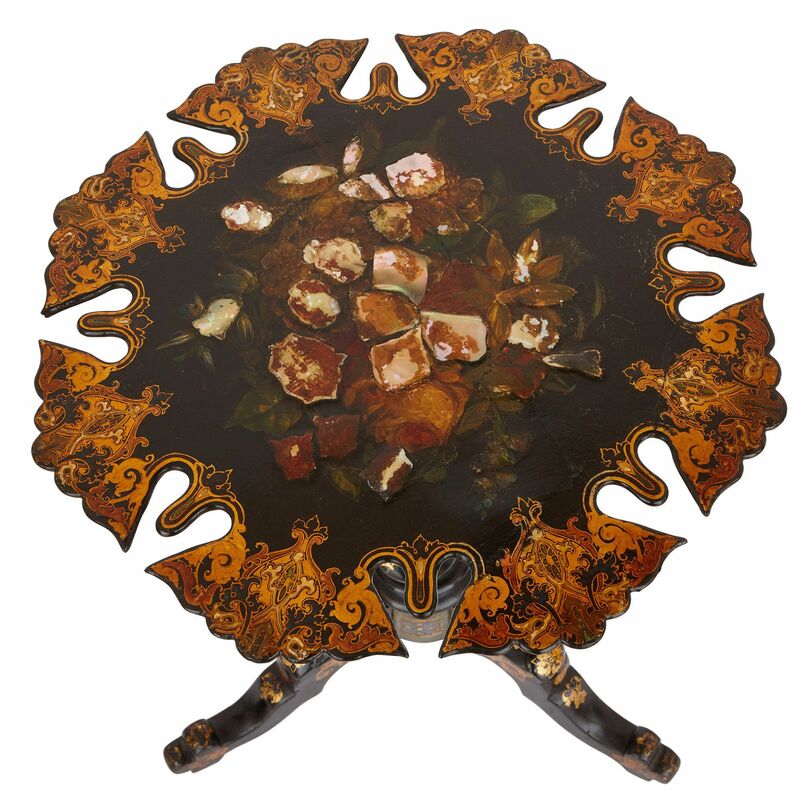 The edges of the tops are also inlaid with small amounts of the precious material mother-of-pearl. 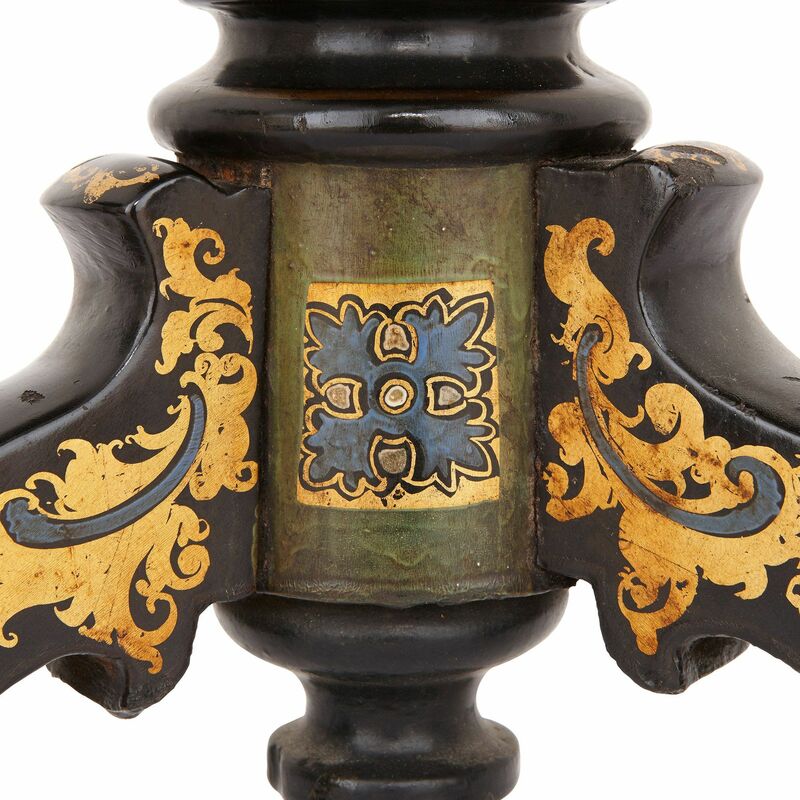 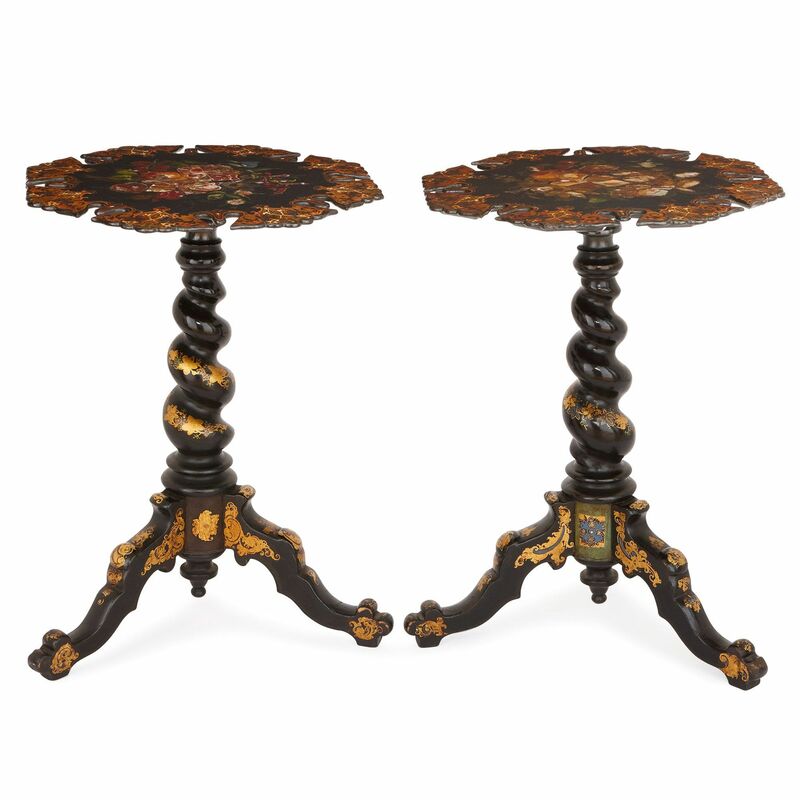 The table tops are supported by spiral supports, on three legs, with intricate gilt decorations in the form of scrolling foliage with subtle green highlights.